Spin peppers through Veggetti or spiralizer, cut side towards the blade. In a large bowl, whisk together dill, lemon juice, olive oil, salt, and pepper. Add peppers and onions to bowl and mix well. Enjoy at room temperature or cold! 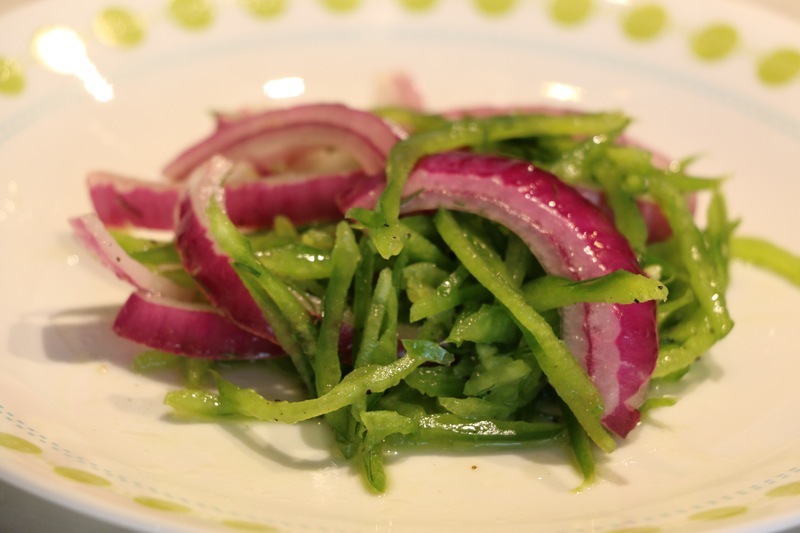 This entry was posted in Recipes, Soups & Salads and tagged Dietitian, Dill, Green pepper, how to, Jersey Fresh, Recipe, Salad, Spiralizer, Vegetti, video. Bookmark the permalink.